Coliving, which can be defined as a way of living focused on a sense of community, using shared spaces and facilities to create a more convenient and fulfilling lifestyle. In recent years, we have seen a particular rise in investment of coliving spaces in Hong Kong. Millennials are the new generation to pave the way for this modern way of living, inhabiting spaces very differently to their parents and grandparents. They are generally a technology driven generation who demand flexibility, openness and collaboration in the spaces they inhabit — and as they’ve moved into the workforce, the demand for coworking is equally on the rise. Similar reasons lie behind the demand for both coliving and coworking spaces. Why are people choosing to ‘co-live’? Millennials, in particular, are highly adaptable and much more willing to share facilities. It’s all about interacting with like-minded people and seeking a community to be a part of — and of course, the skyrocketing houses prices in many cities around the world cause great difficulty for young workers to climb onto the property ladder in the first place. It’s a much less expensive solution to have their own kind of space, defined by their needs, in the cities they choose to live in. Many developers, including Chinese property developers are seeing opportunities to invest in coliving projects. Shanghai-based Future Land Development is currently testing the Hong Kong markets coliving spaces with their developments aimed at college students and young professionals looking for affordable rent, in a modern environment. Hong Kong’s skyrocketing rents have created an opportunity for coliving property projects — small rooms built around communal living and cooking areas, as a viable and affordable option for millennials. M3 was one of the very first coliving spaces to be developed in Hong Kong two years ago, combining private rooms with common areas such as kitchens, gyms and living rooms. Safe, comfortable and most of all, affordable: a difficult find in Hong Kong, one of the world’s most expensive places to purchase a home. However, coliving spaces are not only attracting students, these are precisely the attributes that are driving young professionals in the city to also opt for coliving spaces — collaboration, affordability and flexibility. Coliving is becoming the new norm for young professionals in Hong Kong. The rise in coworking spaces. The rise of coliving spaces is now bringing digital nomadism to the next level. Essentially, our working environment is evolving parallel to coliving. With the rise of technology, we can now work from anywhere in the world. Coworking spaces are popular spots, which offer all the essentials necessary for getting work done in a modern and flexible working environment. Millennials, again, tend to be a driving force towards this way of working. They are often, efficient, tech savvy individuals abandoning the old restrictive and traditional hierarchies and offices. As with coliving, these spaces provide a lower cost option, which often bring together like-minded people, offering overall affordability and flexibility. With space at a premium, these coworking spaces are taking off in Hong Kong. More recently, there has also been an increase in demand for spaces in which, coliving and coworking can occur simultaneously in the same spaces — this is perhaps not the best solution for work-life balance — however, takes the whole co-movement to the next level. Tacking urban life now and in the future. The sad reality perhaps, is that coliving is often the only option for young people now to be able to afford to move out of the family home. Our cities are becoming denser and more expensive year on year. However, both coliving and coworking can help address many challenges facing young people now, and provide that sense of freedom those in their twenties often seek. There definitely appears to be a future based on this whole co-movement. Millennials are moving away from possessions and seeking a lifestyle of experiences, flexibility and a sense of belonging, in a wider community of support. 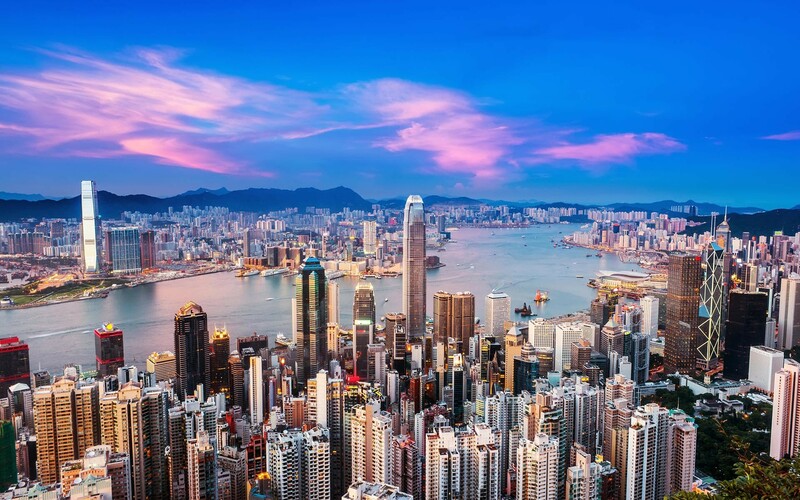 This movement looks set to continue to rise in Hong Kong and in many other cities around the world — where property prices are on the increase. If you like what you read, please click the green “Recommend” button below and “Follow” us for more stories.